This prefolded fusible quick bias tape by Clover irons on and is washable after it has been sewn in place. It eliminates the need to make a bias and pin it in place, giving you more time to spend on the things you enjoy most! 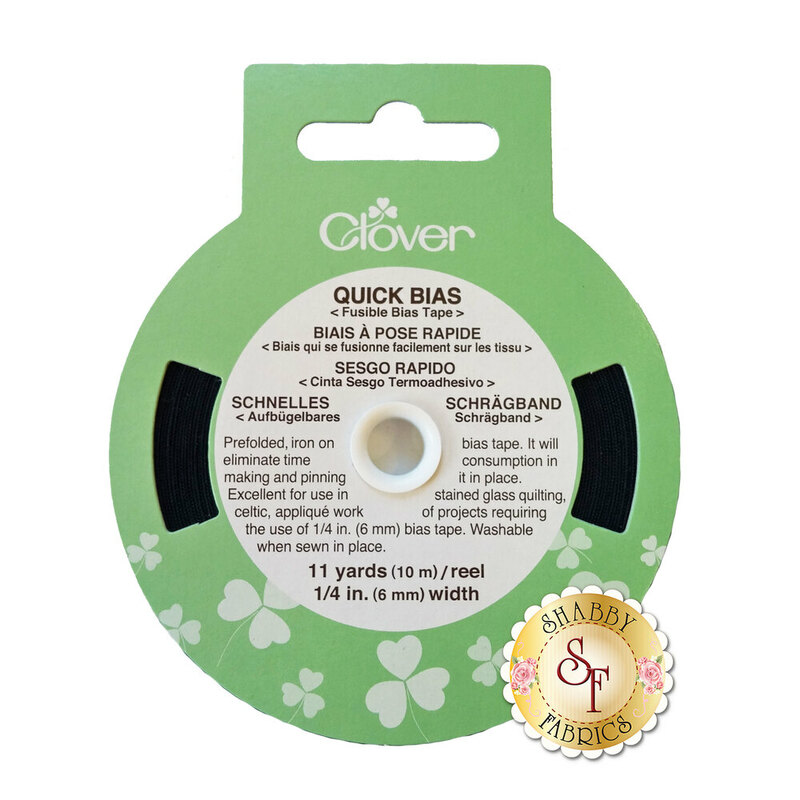 This quick black bias tape measures ¼ inch x 11 yards.